District 98 takes in north Charlotte suburbs and the Mecklenburg towns of Huntersville, Cornelius, and Davidson. It was Thom Tillis's old seat, and we know what happened to him. Democrat Christy Clark is newly announced (just yesterday) and has not yet built out a campaign platform in social media, but she's on Twitter and has a Facebook page. Quoting from the latter, "I’m running for office because I care about North Carolina and her citizens. 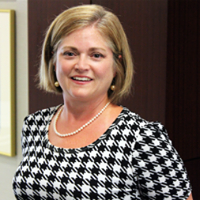 I want to bring my dedication and determination to the General Assembly to focus on what is essential -- economic growth, good paying jobs, supporting our public schools and teachers, and affordable healthcare." She appears to be one of those "super volunteers" that every community needs, always selflessly working for others. This campaign is going to be more of the same. If you would like to contribute to Christy Clark's campaign, here's her ActBlue page. District 76 takes in a lot of very rural Cabarrus and Rowan counties but also includes parts of the cities of Salisbury, Concord, and Kannapolis and the village of Mount Pleasant, where Cline's Country Antiques is a major entertainment draw. Incumbent Republican: Harry Warren, first elected to the NC House in the Tea Party wave of 2010, and he's voted like a Tea Partier. He worked as a human resource specialist for the largest Wendy's franchiser in the state and appears to be retired now. Democrat Joe Fowler was a state wildlife officer until 1993, when he began work with the National Wild Turkey Federation. He has started a business in Salisbury, Open Season Foods, selling locally sourced foods such as sweet potato butter, jalapeno butter, and more. One of his guiding values is improving public education. 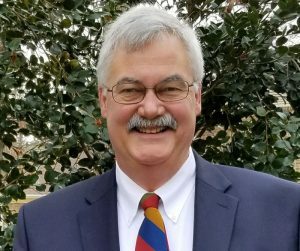 Joe Fowler's father was elected to the General Assembly in the 1950s and sponsored the state community college bill with Terry Sanford, so Fowler feels he has a generational commitment to continue the work of his father. According to the Salisbury Post, Fowler has been hearing from mayors in District 76 that actions by the Republicans in the General Assembly have hurt the towns and cities of the state (and don't we know that in Boone!). Joe Fowler doesn't appear to have built out a social media presence yet, but stay tuned! District 59 wraps around the eastern edge of Guilford County, taking in Burlington and part of Greensboro and many of the neighborhoods along the I-40 corridor like Gibsonville. Incumbent Republican: Jon Hardister ran unopposed in the 2012 general election and swamped his Democratic opponent in the elections of 2014 and 2016. Hardister is the Majority Whip, which makes him a prize pelt for a Democratic insurgent but also a difficult quarry to bring down, as he also has access to all sorts of campaign cash. He's one of the young ones. He's a vice president of First Carolina Mortgage and has the pitiless gaze of a repossessor. 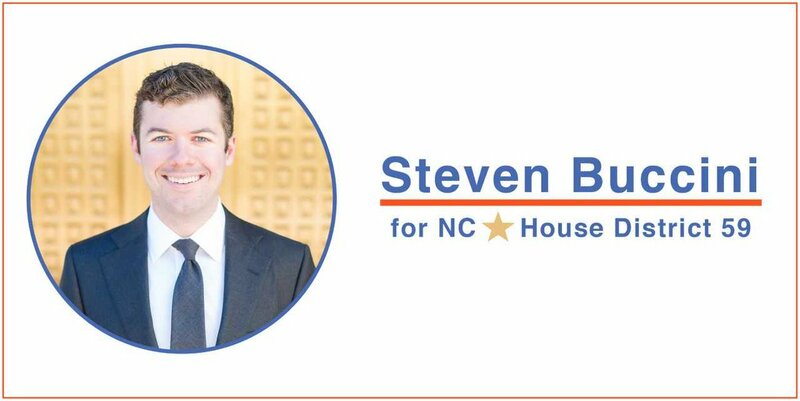 Democrat Steven Buccini is a software engineer with Affirm in Greensboro who has also worked for Apple and Uber. He's a native of Guilford County who learned his computer science at Berkeley. "He was heavily involved in the entrepreneurship community in Silicon Valley at all levels from skills education, to acquiring venture funding, to day-to-day execution." He's a brand new candidate and hasn't fully developed positions and a platform, but I believe he'll get there. 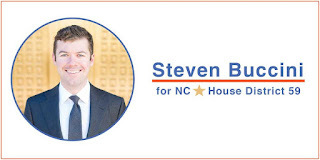 If you would like to contribute to Steven Buccini's campaign, here's his Act Blue page. Why would a North Carolina voter vote for these candidates? All I see so far is that they are members of your political party, and nothing of what their agenda is. From your postings it seems the other party is pure evil, but just what exactly do you hope to accomplish with your people in office. Sounds to me like you want control over us, not for us.